The ALEXA Mini is made of the ever popular and lightweight carbon with a titanium PL mount. It has several different modes of operation, such as “wireless remote control, as a normal camera with the ARRI MVF-1 multi viewfinder attached, or with an on-board monitor and controlled via the user button interface on the camera body”. ARRI also describes its compact, lighter body as “ideal for tight shooting conditions”, a common boon we hear when shooting with other cameras such as the Blackmagic Cinema Camera or high res DSLRs. The ALEXA Mini also comes with multiple accessory mounting options, as well as interchangeable lens mounts that “can be replaced with any of those designed for the ARRI AMIRA”. It’s small and light body is “optimized for use with new-generation brushless gimbals, multicopters and other specialized rigs”. The ALEXA Mini has a 4:3 sensor and records up to 4K UHD images in ProRes or uncompressed ARRIRAW to CFast 2.0 cards. Its ALEV III sensor also gives the ALEXA Mini great image quality, with enhanced “colorimetry, skin tones and High Dynamic Range (HDR)”. There’s also the option to record multiple signals from several ALEXA Mini’s to ARRI’s Codex recorder, allowing for a multi-camera setup. ARRI plans on a May 2015 ship date for the ALEX Mini at a yet undisclosed price, with pre-orders beginning in March. You can see the ALEXA Mini at Broadcast Video Expo booth J30 starting today, February 24th, through February 26th. 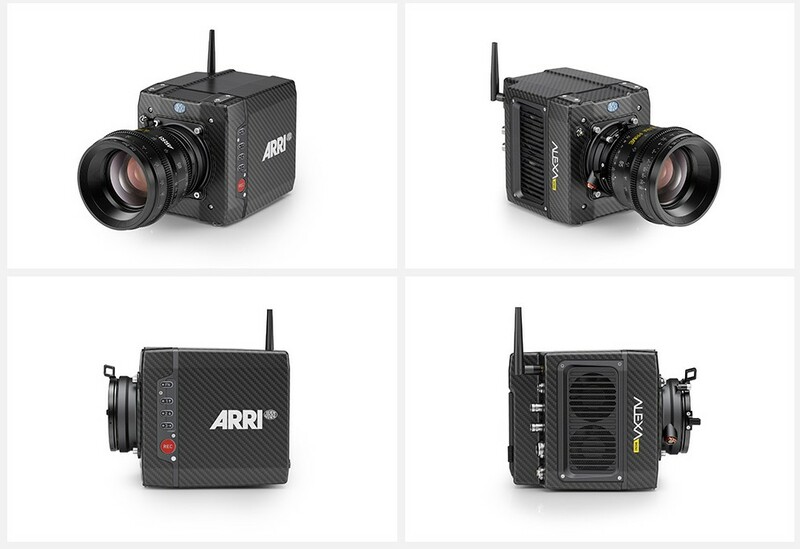 The ARRI ALEXA Mini is scheduled to begin shipping in May 2015, with orders being taken from March. A prototype of the ALEXA Mini will be on show at the Broadcast Video Expo (BVE) from February 24-26, 2015, in Booth J30.